Evanescence has released a new version of their classic 2003 hit “Bring Me to Life,” which features an orchestral reinterpretation of the song as reported by Rolling Stone. With orchestration handled by David Campbell (Beck’s father), the song features a dense layer of orchestral soundscapes along with drum loops and electronic backing, all of which compliments the soaring vocals of lead singer Amy Lee. As one could imagine from an orchestral backing, the song has a sense of grandeur, sounding more like something from a movie score with its booming string section and dynamic arrangement, bringing out a different sonic sensibility than the distorted guitar-driven sound of the original recording. Earlier this year the band announced that an album of orchestral reworkings of their most well-known songs would be released, Synthesis, which is set to drop later this fall. The album will also include two brand new songs. 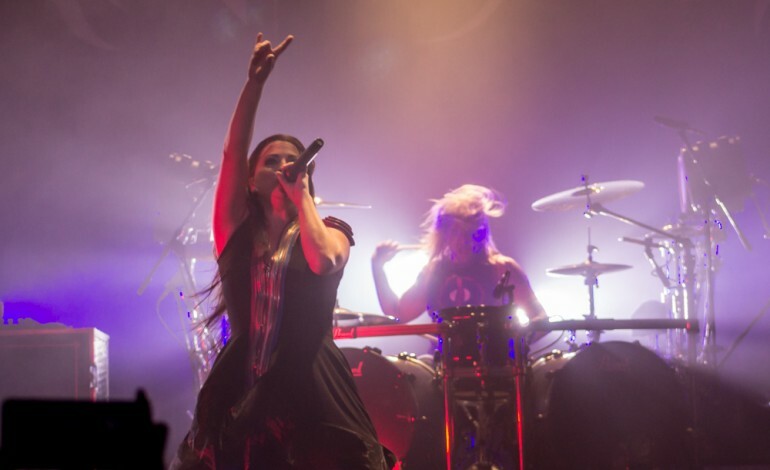 Evanescence will be embarking on a North American tour this fall in support of Synthesis, which will see the band touring with a full orchestra for the first time.